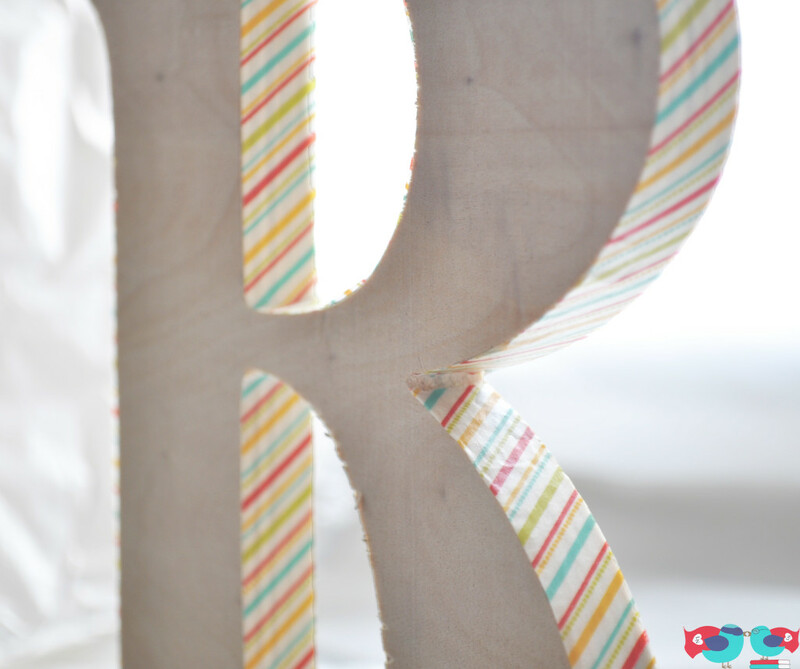 I love letters and word art – this isn’t new on the blog. 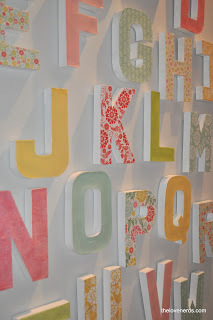 My first big project on the blog was my letter wall! 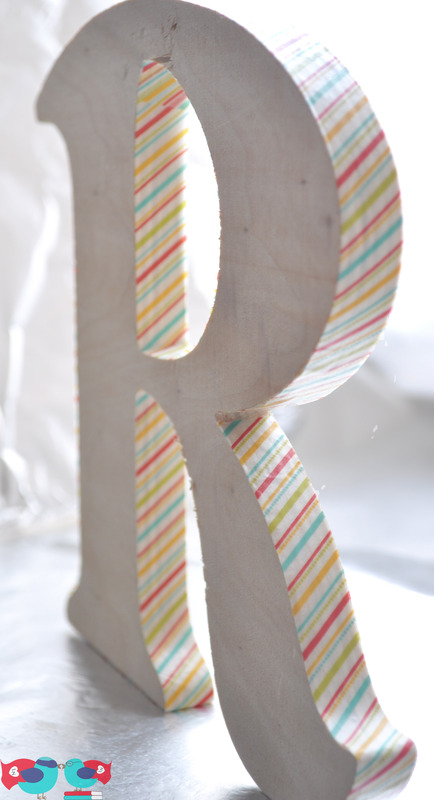 Somewhere along the way, I had bought this extra “R” and hadn’t quite done anything with yet. So when I got my new blue Target table that I love, I decided just to have it set there for the moment. I was staring at it the other day and decided while I wasn’t ready to commit to anything, I did want a little color. 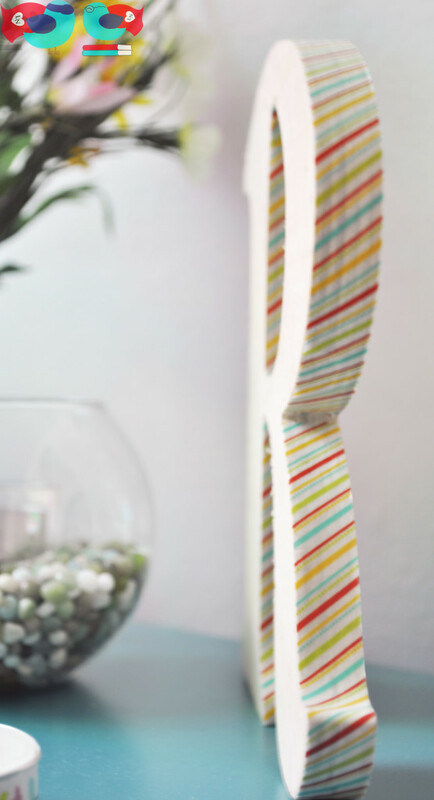 Here comes Washi tape! I added some of my Pick Your Plum Washi tape to the border of the letter. It is a little detail, but I love the little bit of personality it adds as I walk by. The important thing is that the letter had a rough edge, so I took some sand paper just to smooth it out. Otherwise, the tape won’t stick very well. I definitely think even with sanding this is still decorative only. It wouldn’t be good to handle often. Since it only took me about five minutes and a little bit of tape, I am thinking this might be fun to change out for the different seasons! I link up to the following parties, including Serenity Now, Shabby Nest, Whipperberry, Homecoming, Homestories A to Z, Finding Silver Pennies, Organizing Junkie, The Weekly Creative, and the Monthly Pinterest Challenge. Very, very cute! I love how it just gives it a bit of a punch and that you can switch it up down the line if you want to. Cute, Cute!!! 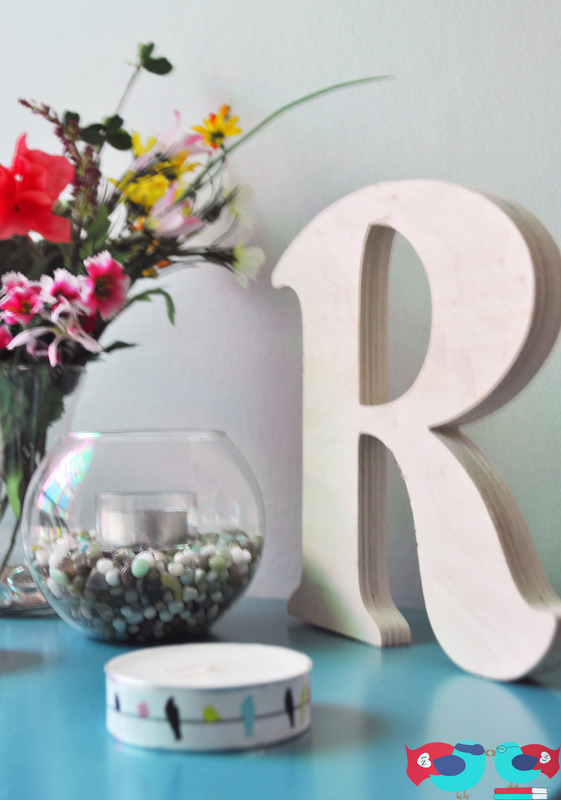 I have a wooden ampersand — I may have to give it this little treatment for a pop of color. This looks too easy! What a fun idea!